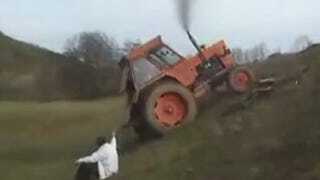 Tractors are some of the most complex, difficult machines to drive in the world. At least, that's the impression I get from watching this video. I'm not usually one for compilation videos, but this one was too good not to share.